Inspired by Brutalist architecture, the Axel Chandelier by Porta Romana presents a modern take on a more traditional chandelier design. 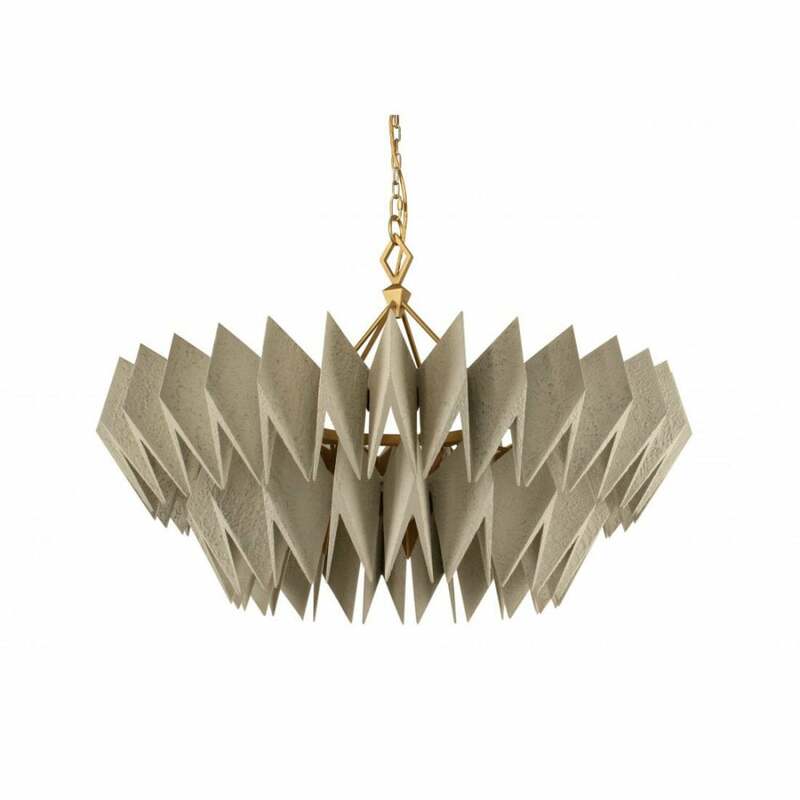 Subtle and sophisticated, Axel is hand-crafted from two tiers of textured origami-like folds. The rugged, white dimpled surface is paired with a smooth, brushed brass frame to form a complex fusion of textures. The perfect addition to a minimalist interior scheme, this stylish chandelier will create a magical display of light and shadows.